Philadelphia's primary PBS station -- WHYY -- will be hosting its 5th annual Y12K Road Race on November 9, 2013 in the city's Fairmount Park. 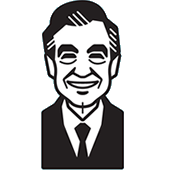 New to this year's event is the Fred 5K -- a race honoring Fred Rogers' "lifelong committment to the welfare of children." Here's the fun part -- runners in the Fred 5K are encouraged to dress as their favorite characters from Mister Rogers' Neighborhood! While I can't imagine there will be an over-abundance of fully costume-clad runners, tributes to the Neighborhood will certainly be numerous. So who's in Philadelphia and would like to serve as a Neighborhood Archive correspondent? I'd love to see some pictures from the Fred 5K!